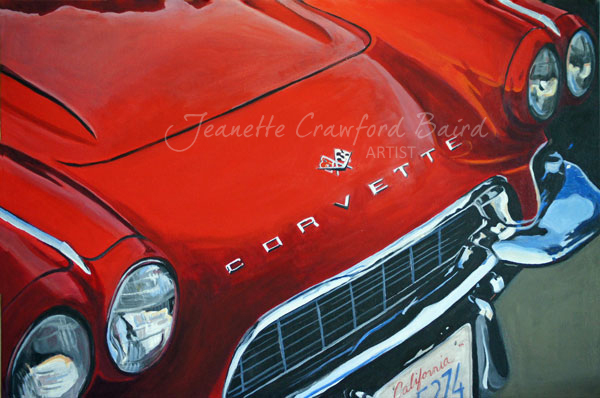 Just finished putting the final touches on my newest painting of a 1961 red Corvette convertible. I found her parked outside of a restaurant just as the sun was setting. Her headlights and bumper reflect the colors of the evening sky. I have one more car painting finished and waiting to be framed but I am thinking about doing several smaller ones. Maybe one of a Vintage Green Vespa!!! 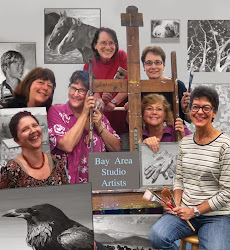 Jeanette, Beautiful work! Just stunning!